The holidays are just around the corner, and we’ve found the perfect gift for you and thirty-three of your whiskey-loving friends. On Friday, December 9, at 10 a.m., Christie’s will auction off thirty-four wax-dipped bottles of twenty-four-year-old Blade and Bow whiskey, barreled on November 22, 1991. 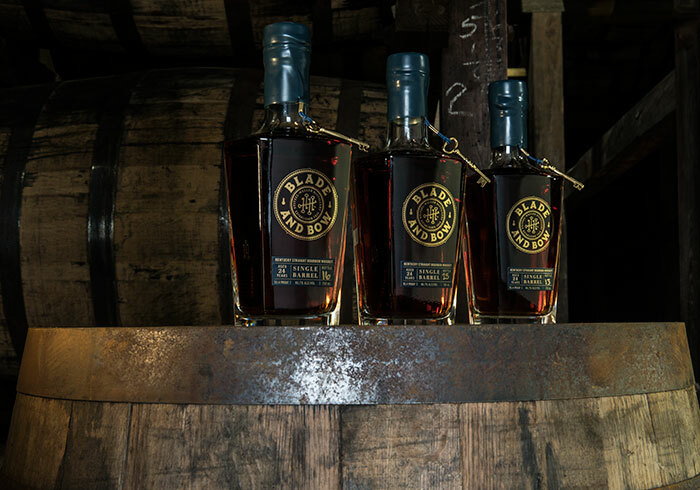 They contain some of the last product from Louisville’s legendary Stitzel-Weller distillery, founded in 1935 by none other than Julian “Pappy” Van Winkle and closed in 1992. Unsurprisingly, this bourbon doesn’t come cheap: Christie’s expects the package—barrel included—to sell for between $24,000 and $35,000. If you break it down, though, that’s just $700-$1,000 per bottle for whiskey you’ll never see again. Plus, all proceeds go to the anti-poverty Robin Hood Foundation. Anyone can place a bid online here—and look over the other lots that make up the Finest Wine and Spirits 50th Anniversary Sale, including eighteenth-century Madeira and bottles of 15-, 20-, and 23-year-old Pappy Van Winkle.